Omega International is registered with the Governments of the United States Of America (501(c)(3)), the Federative Republic of Brazil, the Islamic Republic of Afghanistan and the Republic of Tajikistan. Omega functions as a resource-raising entity for various projects throughout Central Asia. Our goal is to to provide timely, accurate information about the activities of Omega. Omega is made up of individuals from five different continents working to provide quality education for the Central Asian people. By living within the Central Asian communities and learning their languages and cultures, Omega staff is investing in long-term transformational goals that will build up the Central Asian peoples. Throughout its history, Omega staff has specifically focused their work among children, women and the most impoverished. June 2015 – The Omega Team launches the Ten4TheLaunch dedicated website. The Omega team has created a dedicated website with information about our Ten4TheLaunch campaign and The Launch Training Center in Dushanbe, Tajikistan. June 2015 – The Omega Team launches the Ten4TheLaunch Campaign. Our goal is to be financially sustainable within five years, and then turn all profits into funds to help start new social enterprise ventures throughout the region. The “Ten4TheLaunch” campaign is asking people to donate $10.00 (US) per month to help us launch this project. That’s only about 33¢ per day to help change the lives of thousands! If you are able to donate more, as some have, wonderful! Remember, donations are tax deductible on your U.S.A. taxes! Please follow us and share our message on Facebook , Twitter, LinkedIn, Instagram and other social networks. May 2015 – Congratulations to the Omega Team! 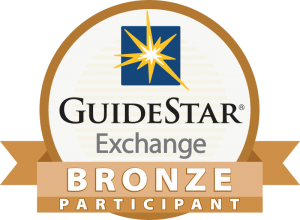 Omega International Associates has earned the Bronze participation level for your organization through the GuideStar Exchange. This is award is a testament to our organization’s commitment to data transparency. By keeping our report up-to-date with GuideStar, Omega ensures that timely and accurate information about our nonprofit organization reaches the 10 million annual visitors to GuideStar’s website and millions of other viewers reached through GuideStar’s network of donation providers, search engines, donor advised funds, foundations, and more. April 2015 – Omega is proud to announce the addition of Timothy Wright as Executive Director for U.S.A. operations. Tim will be managing the day to day functions of our U.S. based operations and will provide a key point of contact for our donors and partners. Please join us in welcoming Tim to our Omega Team. Training individuals to influence their society towards increased dignity and peace. 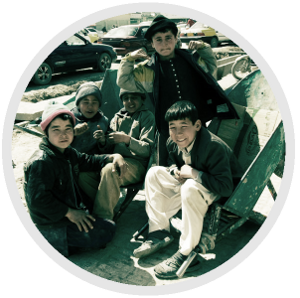 We seek a thriving and secure Central Asia, where the dignity of individuals is assured and their families lead peaceful lives. Omega will be a constant training force committed to equipping individuals to overcome their impossibilities and become leaders in the different areas of the Central Asian society. As board members and managers of Omega International, nonprofit organization, we are constantly reminded that we must be good stewards of the public trust, ensuring the resources of our organization are well protected and used efficiently to accomplish the missions for which our organization exists. We are also charged with making certain our management practices ensure the long-term sustainability of the organization. Omega firmly believes that integrity begins with our own lives personally, and, if applied seriously, has the power to build an entire nation to its highest levels of development. We are committed to having integrity in our personal lives, our relationships, projects and in every opportunity we receive to help individuals. Every individual was created with a beautiful, life-giving purpose. And everyone has the right to achieve that. Omega cares for everyone and will always believe the best of everyone, thus we are called to a process that restores the dignity of every person. We want to help individuals to make a difference in society, leaving transformational legacies behind. We celebrate the diversity of cultures and languages, peoples and their varied backgrounds. Omega believes that this diversity produces a joy that shows the world how to build peace and unity amongst its differences. Peace must increase for a thriving nation to be established. We believe that issues that cause human insecurity such as lack of food, shelter, health and education are some of the same issues that originate hostility. Omega wants to train leaders from vulnerable communities to bring solutions to their various needs in every area of society. We are relational in our approach and in how we conduct our projects. We believe that the process it takes with each person is different, and we are committed to making sure that the message is understood by each one. People are not targets, numbers or projects. Rather, people must be respected, valued and loved. We are relationship-oriented in our living and working together. We believe that each individual has a potential that needs to be realized. A quality work of education will provide the tools for each child, youth and adult to discover the best of their gifts and become positive influencers to their communities and nations. Omega does not centralize its projects to one location, but wants to go as far as needed to find those who are in most need of our help. We live in the land, amongst the people, speak their language and learn their culture. We do not do projects from a distance, but rather we are fully involved in learning from the local people as a way to best convey the message of hope and development. This post is also available in Portugués.